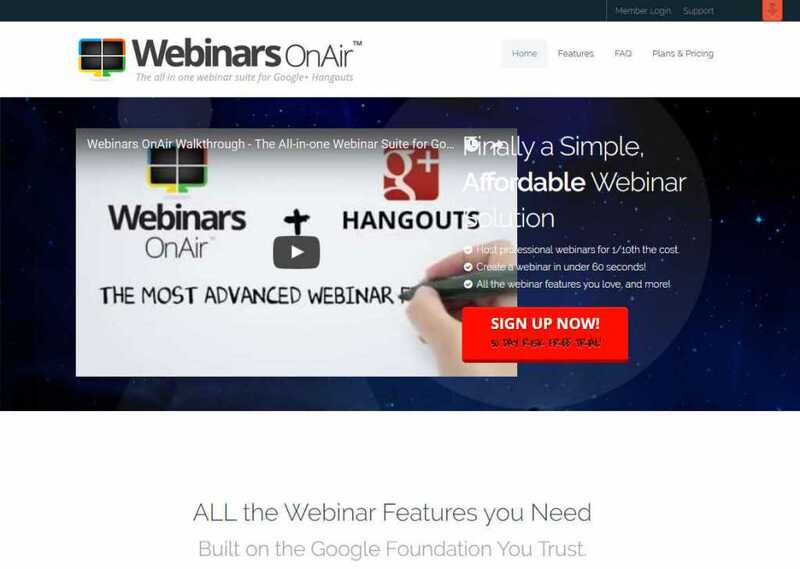 Webinars OnAir offers an affordable solution to host your webinar by using Google+ Hangouts. The rich personalization options will help you customize the whole user experience to reflect your brand. Powerful email options will automatically send the registration, reminder, and follow-up emails. Use the live chat feature to communicate with your audience during the webinar. It is possible to choose up to 10 moderators or speakers from the audience. The superior moderation panel will make it a lot easier to manage the event. What’s more, the tool also allows you to create a premium webinar and accept payments through PayPal.